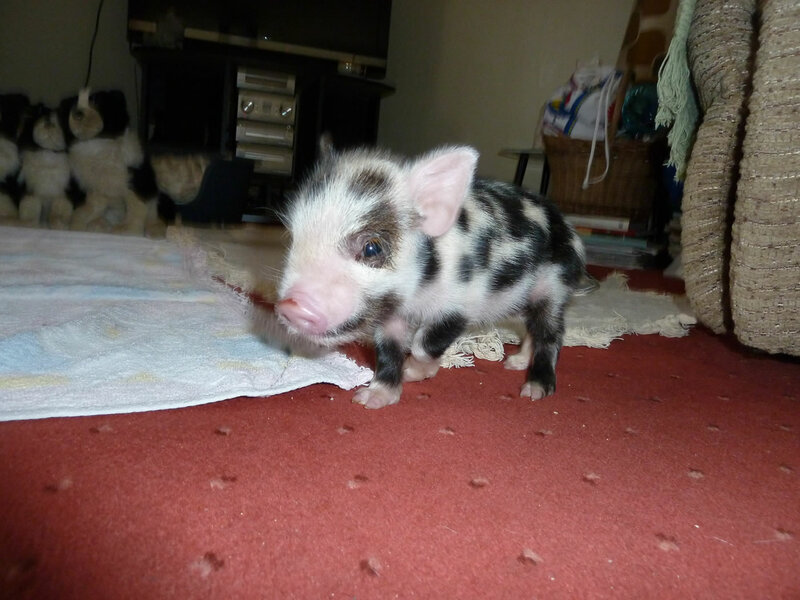 Kunekune Piglet - Picture of Geordie when he was only 3 days old. He was now out and about around the living room and our collies were amused at this. We started to feed Geordie in the living room and also allow him to explore the house. We had no plans to keep him as an indoor pig and neither of us agree with keeping pigs confined in a small house, they need and love being outside with plenty of grass and space to explore. 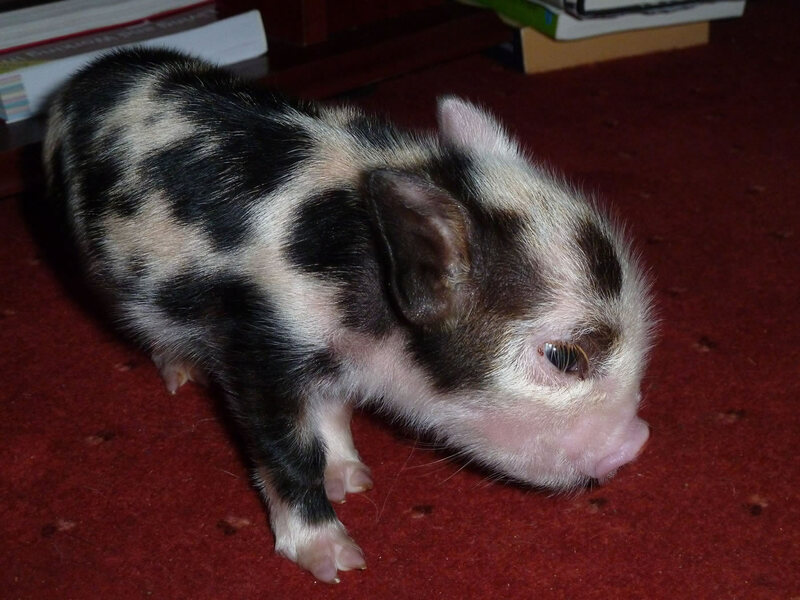 Kunekune pigs are like sheep, they graze on grass and do not destroy the ground by digging it up, unlike many of the commercial breeds of pigs. Geordie getting his chin tickled. 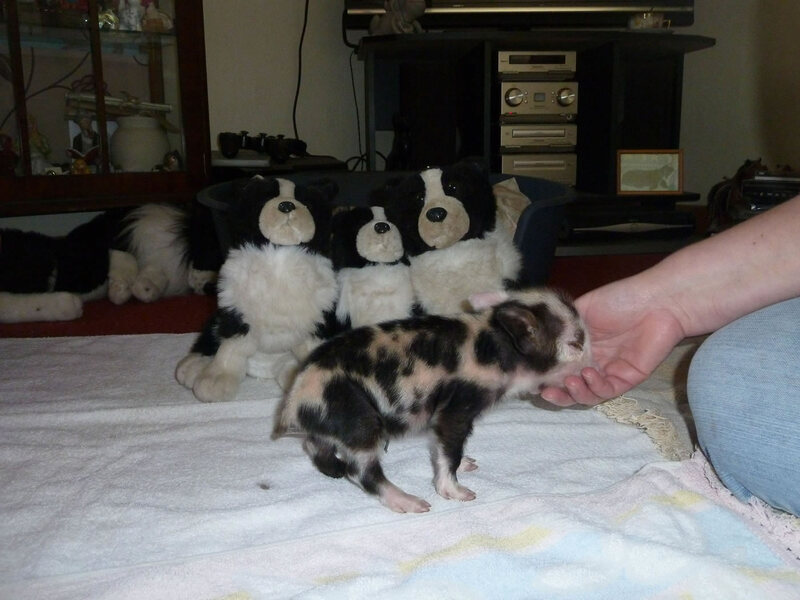 The towels were in case he had an accident, however pigs are exceptionally clean and get upset if they get dirty. This meant that I had to regularly clean out his cage after he had done the toilet to make sure he had a clean place to be. Even now as adult, 7 year old pigs they never do the toilet near where their outdoor house is, and never dirty within their house. This is one of the things that annoys me about factory farming where pigs are kept in such dirty, crowded conditions, so much against their natural and normal behaviour, where they are clean, yet social creatures that love exploring. Factory farming should be banned in my opinion.